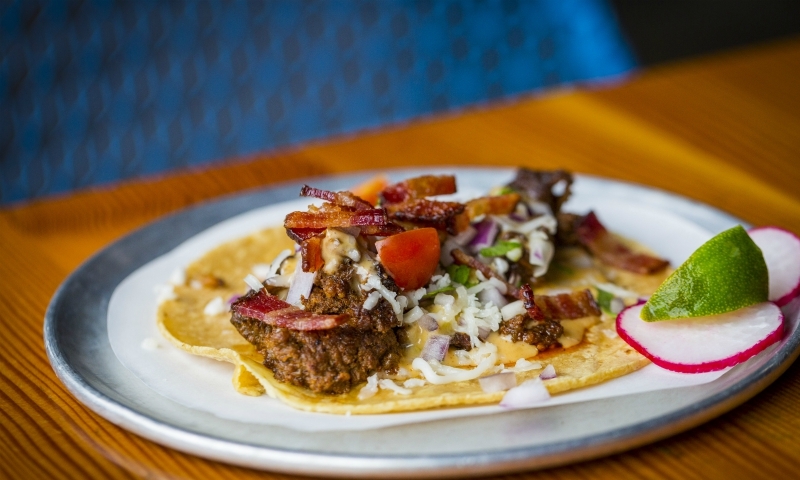 Actor Danny Trejo’s taco joints are slinging some out-there varieties—but which is best? Danny Trejo is one of the most recognized faces in L.A., and not just because he has 358 acting credits and counting. It seems like there’s always a new Trejo’s Tacos (or Trejo’s Cantina or Trejo’s Coffee and Donuts) popping up somewhere in the city. His empire is expanding, and like many of the characters he plays in movies, he’s showing no signs of stopping. 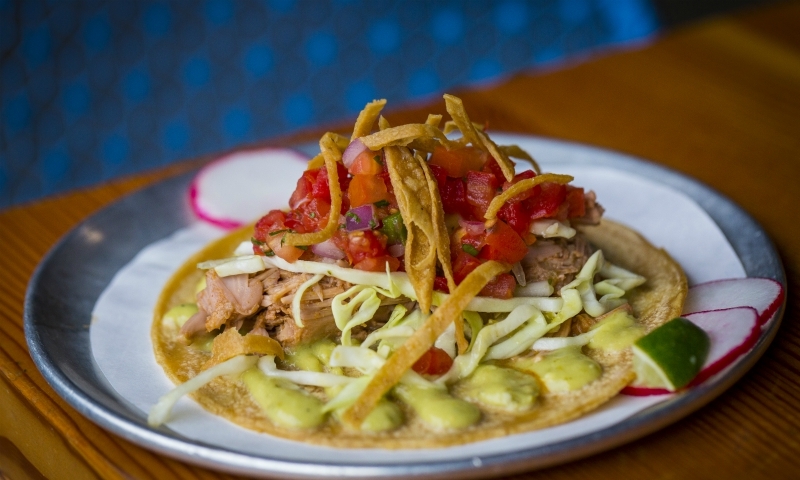 Though the L.A. taco industry may be pretty saturated, the tacos at Trejo’s are different. The ingredients and flavors are unconventional, maybe even a little risky. But what else did you expect from him? 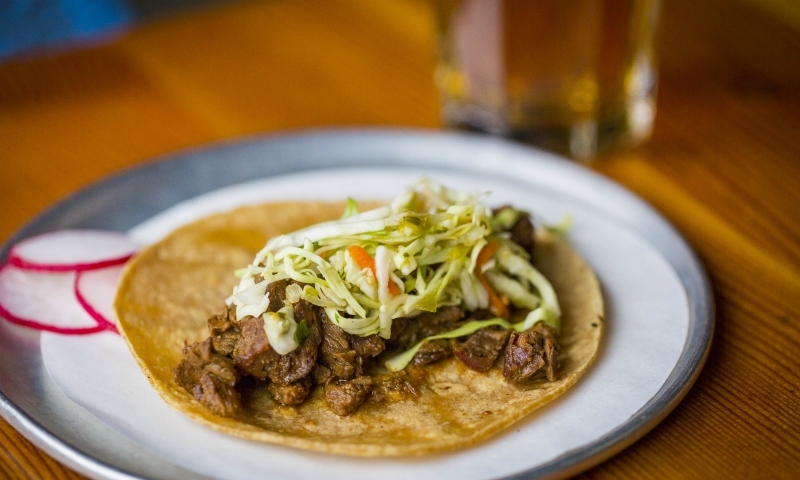 We tasted every variety on the taco menu, and the results were surprising. Steak tacos are always reliable no matter where you go. This one features a bright citrus marinade and a vibrant Mexican-style pepita pesto. It’s pretty zesty for a steak taco. But keep scrolling for more bold flavors. 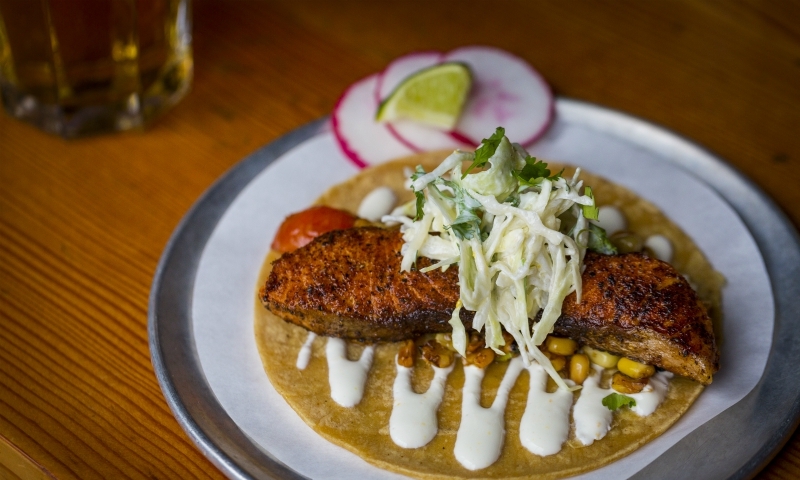 When you’re craving spice but don’t like too much heat, the blackened salmon taco is the way to go. The seasoning on the salmon has a lot of flavor but won’t set your mouth on fire, and the orange cream gives it just a hint of citrus. Personally, we prefer heat—adding some hot sauce helped. An achiote marinade gives the grilled chicken its appetizing and beautiful red hue. It also gives it a smoky flavor that pairs really well with the tang of the verde slaw. We recommend putting some of Trejo’s signature hot sauce and a squeeze of lime on this one. There’s a generous pile of everything on this taco. 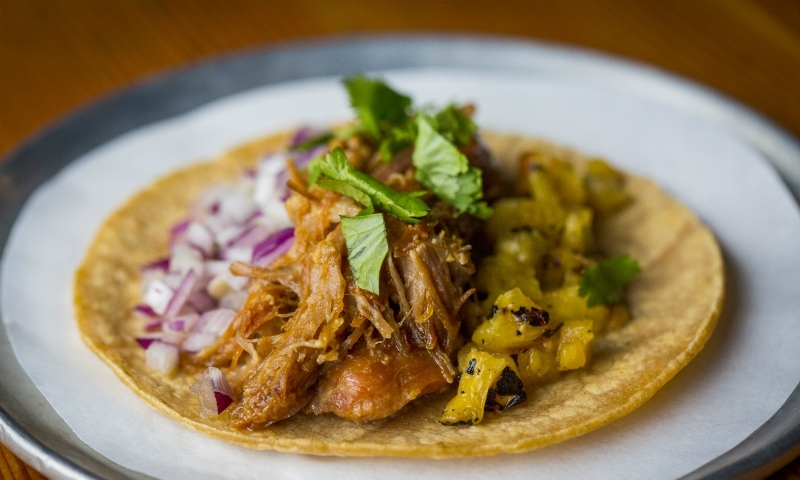 A meaty mountain of subtly sweet, Southern-style, Coca-Cola-braised pork sits amid red onion and grilled pineapple. We would have liked an even more generous pour of the Sriracha-like fermented hot sauce on this. One of the biggest trends in 2018 is Middle Eastern food, and we’re here for it—even if it’s in a taco. 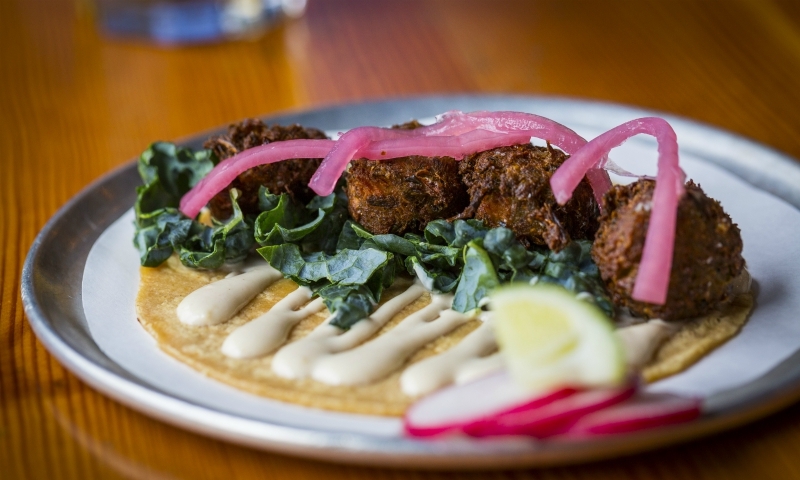 The Mexi-falafel is a vegan taco with falafel, kale, cashew cream, and pickled onions. It’s herbaceous, nutty, and a little sour. Honestly, we could just eat a big plate of these little falafel. They’re well seasoned and impossibly crispy on the outside. Typically, jackfruit tastes like a cross between a sweet, ripe mango and a banana, but here it’s prepared as a savory meat substitute. If you can’t wrap your head around that, then wait till you take a bite. It has a texture similar to pulled pork but softer. This vegan taco has a vibrant zingy flavor thanks to the avocado cream, slaw, and pico de gallo. Though there’s no meat, it feels meaty and satisfying. Two words: NACHO CHEESE. We know it sounds strange and wrong to put nacho cheese in a cheeseburger in a taco, but you just have to try it. There’s chopped beef with homemade taco seasoning, lots of bacon, fresh tomatoes, and red onion. And it’s all smothered in a gooey nacho cheese sauce. There’s a lot of indecent but pleasurable things in there to enjoy. 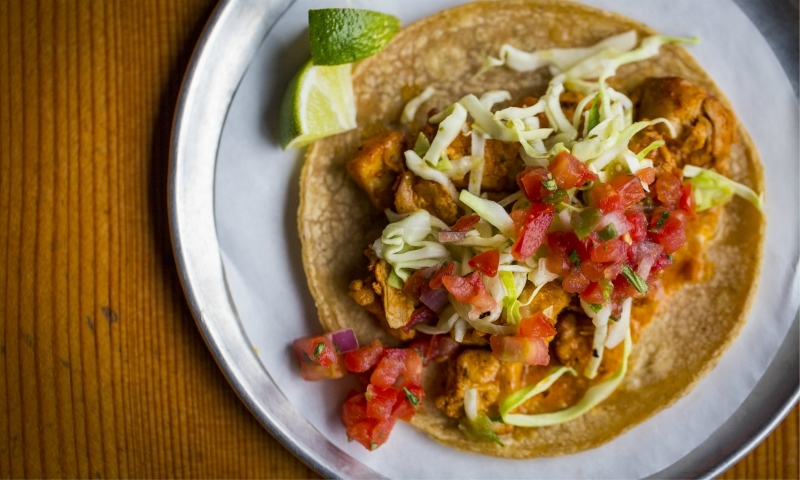 Another WTF-worthy taco is the new tikka masala-stuffed offering, featuring buttery chicken, a creamy, spicy sauce on a bed of rice with mint crema. The rice makes this taco feel hearty, like a mini burrito. 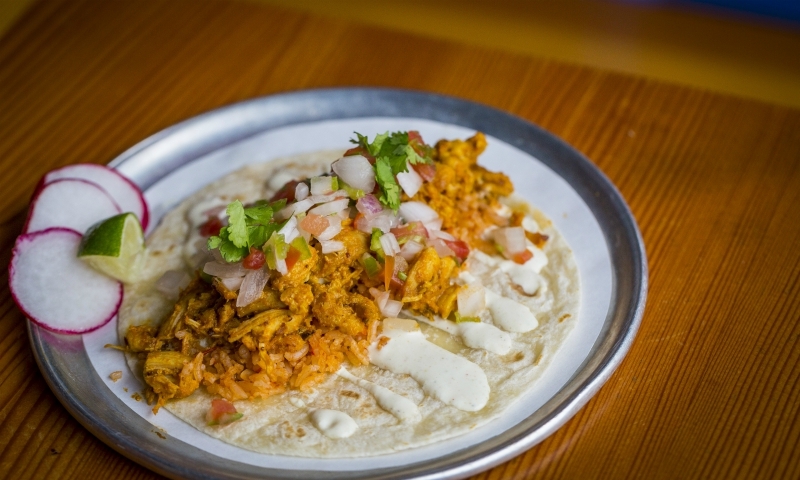 It’s the spicy curry taco you didn’t know you needed. When you have shrimp, diablo sauce, and avocado cream, you don’t need much else. 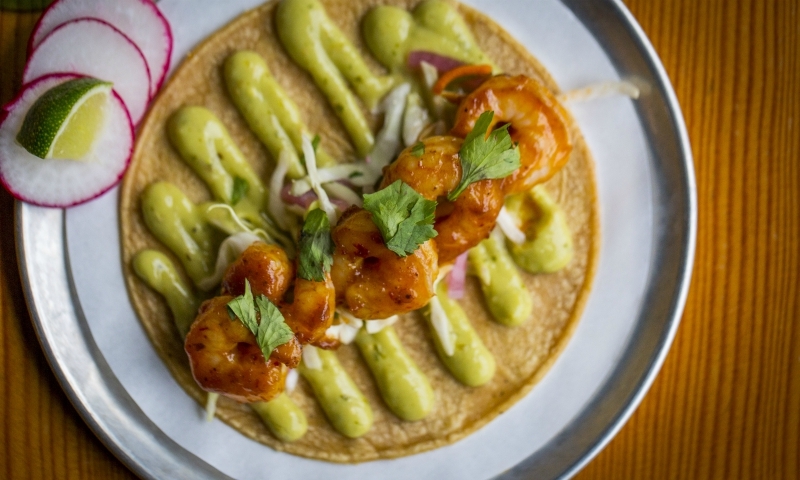 But the spicy shrimp taco gives us so much more than we expected. There’s a good amount of shrimp (five very plump ones to be exact) that are layered on top of a bed of slaw and pickled onions. The avocado cream marries well with the diablo sauce with just enough heat to tease your tastebuds but not burn them off. 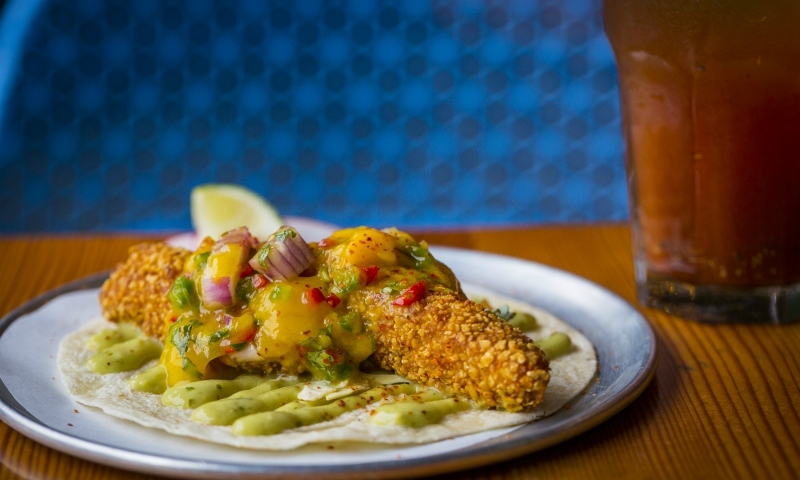 We loved this taco if only for the amazing mango salsa that’s piled onto the fish. Big chunks of mango are mashed up into this salsa, and it’s both tart and sweet. The fish does have a pretty thick batter, but it’s all worth it when you take that first crunchy bite and find the velvety fish inside. Never judge a vegan taco before you eat it. Case in point: the cauliflower taco was an unexpected favorite. 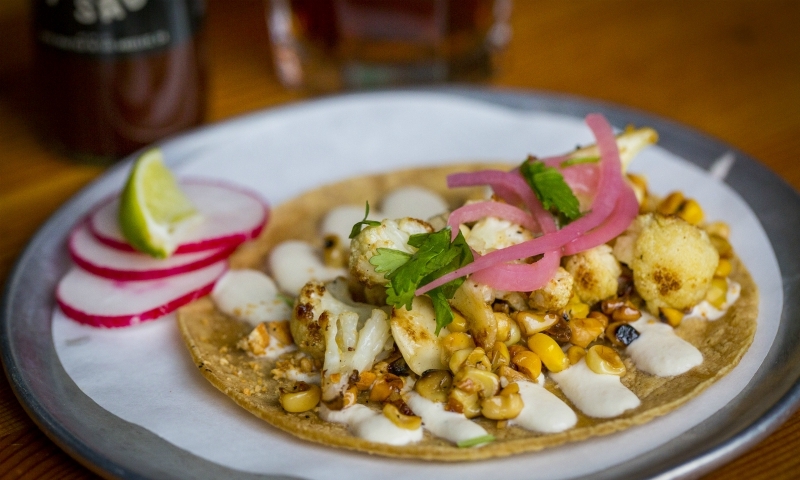 The roasted cauliflower, sweet corn, cashew cream, pickled onions, and chopped cashews inside the taco made it impossible to put down. It’s nutty with sweet, sour, and savory notes. Trejo might make a vegan out of you yet. The most non-taco-y taco was our favorite. It’s in a lettuce cup (well, more like a bowl, really) rather than a tortilla, but it eats like a taco and tastes delicious. 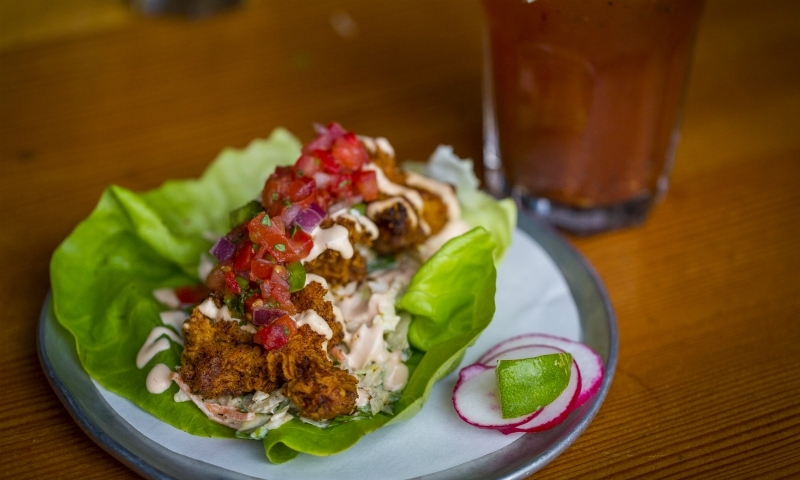 The smoky chipotle cream and the crispy fried chicken are finger-licking flavorful. There’s a bright bed of coleslaw, too—not the kind you push to the side of the plate but the kind that’s refreshing and crunchy. Throw some of Trejo’s signature hot sauce on this and you’ve got yourself a comforting meal of a taco.